More than 20 percent of soldiers returning from Iraq and Afghanistan suffer from post-traumatic stress disorder, according to the Department of Defense. New research suggests one way to combat the symptoms is through meditation. David George was sleeping in his cot during his deployment to Iraq when a car bomb exploded 25 yards away. Since then, he’s struggled with PTSD, is often anxious, angry and depressed. At one point, back at home in Maryland, he stopped himself from buying a pistol. “I never bought a pistol because I was pretty sure I was going to shoot myself,” George said. His mother noticed a change in her son’s behavior, too. “When he came back, he was not the boy I raised,” Julia Elena George said. Medications and therapy didn’t help. George started drinking heavily. Then he joined a study for veterans with PTSD using transcendental meditation, a mind-based practice involving repeating a mantra to focus one’s thoughts. The study’s findings are published in this month’s Military Medicine journal. The study found participants saw their symptoms reduced by half within two months of participating in the meditation. 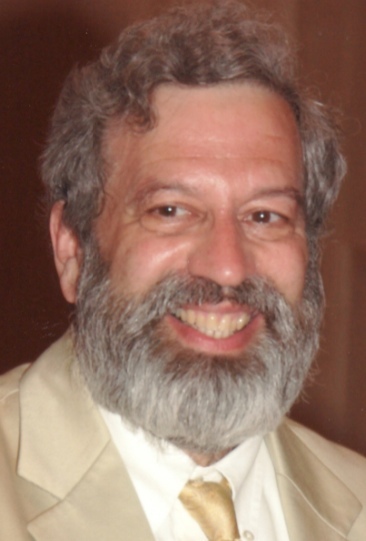 Dr. Norman Rosenthal says transcendental meditation settles down the nervous system. George meditates twice a day and says he finally feels like himself again. “There’s something else than pills or therapies or substance abuse – there’s yourself that you can always count on,” he said. George is working with operation warrior wellness and the David Lynch foundation to reach their goal to help 30,000 veterans through transcendental meditation in the next three years. A puzzled man asked the Buddha: “I have heard that some monks meditate with expectations, others meditate with no expectations, and yet others are indifferent to the result. What is the best? The Buddha answered: “Whether they meditate with or without expectations, if they have the wrong ideas and the wrong methods, they will not get any fruit from their meditation. Think about it. Suppose a man wants to have some oil and he puts sand into a bowl and then sprinkles it with salt. However much he presses it, he will not get oil, for that is not the method. Another man is in need of milk. He starts pulling the horns of a young cow. Whether he has any expectations or not, he will not get any milk out of the horn, for that’s not the method. Or if a man fills a jar with water and churns it in order to get butter, he will be left only with water. What kind of meditation did the Buddha teach? Truthfully speaking, no one clearly knows; however, we have a few good hints about the nature of the practice he might have taught from some of the Buddhist scriptures. From the above scripture, it is clear Buddha felt that unless one was using a correct method, one could not expect to gain Nirvana—the fully awakened state of absolute freedom and enlightenment. Buddha also spoke of two qualities that he thought were fundamental to the fully-awakened state: Tranquility and Insight. Two things will lead you to supreme understanding. What are those two? Tranquility and Insight. If you develop tranquility, what benefit can you expect? Your mind will develop. The benefit of a developed mind is that you are no longer a slave to your impulses. If you develop insight, what benefit will it bring? You will find wisdom. And the point of developing wisdom is that it brings you freedom from the blindness of ignorance. It is interesting that the two most popular forms of Buddhist meditation that are taught today are called Samatha and Vipassana. Samatha meditation is based on the intention and persistent effort on the part of the meditator to concentrate the mind on some specific object of meditation: the goal being to develop the ability of the mind to concentrate because when the mind is in a highly concentrated state, it is known to be tranquil and such a mind, it is thought, would make deep insight possible. Since Buddha explained that only the right method would bring the “fruit,” it would be valuable to explore whether Samatha meditation, as it’s understood and practiced today, is the right method to bring tranquility to the mind. The term “Samatha” actually means calmness or tranquility: an integrated state where the mind is not in any way excited or active. It is directly related to the term “Samadhi,” the state in which the mind is completely settled and unwavering and is effortlessly held in a fully concentrated state. The misunderstanding regarding Samatha meditation, as it is understood and practiced today, is simply that the mind does not need to be trained to gain the ability to concentrate through the application of strenuous concentration practices. The mind will automatically and spontaneously achieve this highly tranquil and concentrated state simply by the meditator knowing the technique of how to allow the mind to be effortlessly drawn in to the Bliss of Nirvana. It is a common experience that the mind will naturally stay concentrated on anything that provides it with peace and contentment; this is an inherent capacity of the mind, so no training or practices of concentration are required. In addition, because it is the natural tendency of the mind to move on to a field of stable peace and contentment in a spontaneous manner, the individual’s effort to try to control the mind to remain only on one limited object of attention, as is done with Samatha meditation today, actually obstructs the mind from rushing on to the ever-constant infinity and happiness it so much needs and desires. These days, Vipassana/Mindfulness meditation is practiced by the practitioner having the intention to be an “impartial observer” of some natural process occurring within his or her body, mind or emotions. For example, one is asked to just observe or be mindful of the rising and falling of the abdomen during the process of breathing, or to just impartially observe the incoming and outgoing of the breath itself. Another, popular form of this meditation is to mindfully observe the body in the natural act of walking or during the process of standing up or sitting down. The key element is to try to be continuously aware of whatever process is taking place without in any way interfering with or reacting to, either positively or negatively, the process that is occurring in the moment. The idea is to try to be fully aware of the “raw experience” that is always happening and transforming by noting and letting go of each arising and subsiding sensation. This practice is supposed to bring one deep insight, perfect wisdom, into the ultimate reality of the true nature of existence in both its conditioned and unconditioned states. Unfortunately, this attempt to develop and obtain Insight through the practice of trying to be an “impartial observer” is not a right method. The reason for this is that the “impartial observer,” which alone is capable of “right mindfulness” and genuine Insight, is the fully-awakened state of Nirvana Itself. The true “impartial observer” is never the attention or mind that is attempting to watch a process. The reason for this is that this very attempt is a part of the process itself; it is not outside the process. In stark contrast to this, the genuine “impartial observer” is completely outside any and every process of the rising and falling of any conditioned state of existence; it is completely beyond the mind and any human intention or effort to observe anything. In this above quote, it is vital to note that Mindfulness should be present even when one is sleeping. In other words, the process of sleep should be able to be witnessed or observed as it is naturally occurring. At first glance, the impartial observation of sleep would seem to be impossible because if one is asleep how could one observe anything? The key to understanding this is that it is not the mind that is observing; in the state of sleep, the mind is sleeping and is not aware of the sleeping process or anything else. However, it is possible for the Absolute state of consciousness, the state of Nirvana, to impartially witness the sleeping process. It is the unconditioned, transcendental, Absolute state of consciousness that is the true impartial observer of all the ever-changing values of the conditioned aspects of life, including the mind and its intentions. It is this supreme value of life alone that is capable of being impartial because only It is without any lack and nothing can be subtracted or added to Its eternal status. Consequently, it is only the Absolute existence of the fully-awakened state that is capable of totally penetrating into the true nature of life and gaining the supreme Insight lived, embodied and expressed by a Buddha. Through which sense organ should I cultivate? You ask. Don’t be nervous. It is the very organ of the ear which Gwan Yin Bodhisattva used that is best for you. Gwan Yin Bodhisattva perfected his cultivation through the organ of the ear, and Ananda will follow him in cultivating the same method. The Buddhas and Bodhisattvas of former times have left us such a wonderful Dharma-door that we should also follow the method of cultivating the organ of the ear to perfect penetration. This is the easiest method. The method suggested in the Shurangama Sutra is referred to as the “easiest method” because it involves the simple and effortless act of allowing one’s attention to be with a sound in order to achieve “perfect penetration.” Perfect penetration means that one has been able to penetrate beyond all the temporal, ever-changing values of all the conditioned states of existence and become at one with the Absolute, unconditioned, eternal, “never born and never dying” peace and fulfillment, which is the infinite all-knowing state of Nirvana, the end of all suffering. One is instructed to “turn around your mechanism for hearing.” What does this mean? Usually, one hears a sound when one is speaking or hearing someone else speak, or hears a sound produced by something in the environment—a bird, thunder, the rushing of a river, anything. Our mind is usually outwardly directed into the environment. However, with a right method of meditation, one can learn how to effortlessly use a sound to follow it in the inward direction to its ultimate source. In our time, this natural process of turning around the “mechanism for hearing” is known as the technique of Transcendental Meditation (TM). It is a completely effortless practice that does not require belief in any doctrine or the following of any particular way of life. People of all religions practice it, as do people of no religion. Its practical benefits have been scientifically researched and documented for 40 years and it has been taught world- wide to over 6 million people of every race and culture. In addition, this technique does not involve any form of concentration, contemplation, or any controlled effort on the part of the mind, intellect or emotions to distance oneself from one’s experiences by trying to remain unmoved, detached and impartial. This is a vital point because the Tranquility and Insight that Buddha spoke of were never meant to be practices. One cannot practice Tranquility or Insight, but one can easily gain and develop them by regularly transcending to the state of Nirvana and becoming at one with It. It is the state of Nirvana that is perfectly tranquil and the state of perfect Insight, Perfect Wisdom. The right method of meditation would be one that is capable of bringing us beyond all the impermanent, ever-changing, conditioned states of existence to the state of Nirvana. It would be a method that is capable of completely transcending its own process and leaving us at one with the Absolute, freed from the illusion of a limited and separate self- existence. Then, through its regular effortless practice, this method would allow us to fully integrate and stabilize this unwavering, Absolute state of Nirvana into all activities and experiences of daily life allowing us to achieve the goal of all Buddhas and Bodhisattvas—a world without suffering. To conclude, the main point of this essay on Buddha and Meditation is that to gain the Tranquility and Insight that are the qualities of full enlightenment, to realize the Perfect Wisdom that blossoms into infinite compassion, one has to learn and use the right method of turning within. Another article, God? ~ Dr. Evan Finkelstein, originally published as an editorial, Nov 30, 2011, in Elephant Journal, sparked many comments. A remarkable series of scientifically credible studies has shown a link between group meditation and lowered incidents of violence and crime. And why not? argues Hagelin: If meditation is good for the individual, it should also be good for the collective. 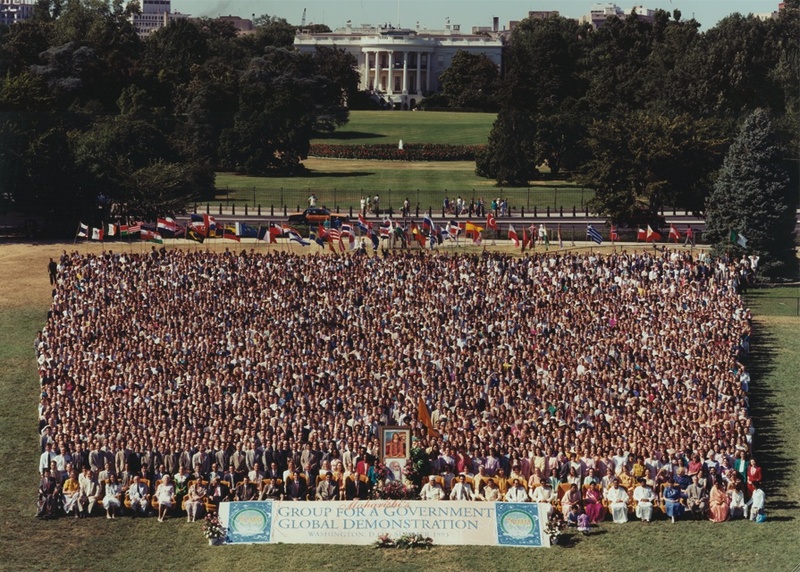 From June 7 to July 31, 1993, up to 4000 participants of Maharishi Mahesh Yogi’s Transcendental Meditation and TM-Sidhi Programs gathered together in Washington, DC, to form a Group for a Government Global Demonstration Project. 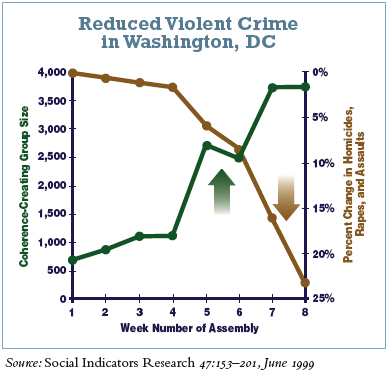 Under the direction of Dr. John Hagelin, violent crime in Washington, DC was significantly reduced as predicted during the time of this World Peace Assembly. The study presenting these findings was published in Social Indicators Research. What follows is a report of that study presented in the context of a talk Dr. Hagelin gave in a Holland videocast to the Noetic Sciences (IONS) regional conference on February 18, 2007, in Tucson, Arizona, titled: “A New Science of Peace: The Effects of Group Meditation on Crime, Terrorism, and International Conflict.” The editor of Shift magazineexcerpted, abridged, and edited that talk into this article, The Power of the Collective, for their June-August 2007 issue on The Mystique of Intention. You can download a PDF of the complete article Shift-The Power of the Collective. We’re living in an epidemic of stress. Doctors report an alarming rise of stroke, hypertension, and heart disease—now called metabolic syndrome—all of which are diseases of stress. As a result, we would expect to see stressed behavior in society, and it turns out there is plenty of it: crime, domestic violence, terrorism, and war. Since meditation provides an effective, scientifically proven way to dissolve individual stress, and if society is composed of individuals, then it seems like common sense to use meditation to similarly defuse societal stress. A reduction in crime and stress-related behavior would then be expected to follow. Nobody would have ever guessed—I wouldn’t have guessed—the extraordinary degree to which you can reduce social violence through meditation, because it doesn’t take everyone meditating to generate profound effects. A relatively small number of people meditating together has a powerful spillover effect, reducing stress throughout a surrounding area in a measurable way. That’s the phenomenon I want to focus on. That’s where the really interesting physics and metaphysics can be found. A study I conducted in the summer of 1993 in Washington, DC, shows rising crime levels over a period of six months, which take place every year as the temperature gets hotter between the winter and the summer. People stay out later, they are more aggravated and agitated, they get into more fights, and the crime rate goes up. This is an absolutely known annual trend. From June through July of that summer, we brought to the area a large number of practicing meditators and trained quite a few others. When the group reached a particular size—2,500 (ultimately reaching 4,000)—which was about halfway through the period, there was a distinct and highly statistically significant drop in crime compared to expected rates based on previous data, weather conditions, and a variety of other factors. We collaborated with the local police department, the FBI, and 24 leading, independent criminologists and social scientists from major institutions, including the University of Maryland, the University of Texas, and Temple University, who used highly sophisticated research tools to control for variables such as weather. Everyone ended up agreeing on the language, the analysis, and the results, and those results were quite astonishing. We predicted a 20 percent drop in crime, and we achieved a 25 percent drop. Just before the study, the Washington, DC, chief of police went on television and said something like, “It’s gonna take a foot of snow in June to reduce crime by 20 percent.” But he allowed his department to participate in the experiment by collecting and analyzing the data. In the end, the police department signed on as one of the authors of a published paper (see Social Indicators Research 47:153–201, June 1999). In this case it was only a few thousand people in a city of about a million and a half. So a relatively small group was influencing a much larger group. This is what is so fascinating. And it has implications for more than just crime. In my opinion the most immediate implications today in the world are stopping ethnic wars, the conflict in the Middle East, and so on. And in fact a similar experiment was done during the peak of the Israel-Lebanon war in the 1980s. We found that on days when the numbers of meditators were largest (and also on the subsequent day), levels of conflict were markedly reduced—by about 80 percent overall. This turned out to be a statistically significant effect and also a surprising one, because there were only about 600 to 800 people meditating in the midst of this entire conflict and the highly stressed surrounding population. The results were published in Yale University’s Journal of Conflict Resolution (32:776–812, December 1988), which also published a letter urging other universities, collaborators, and groups to repeat this study. The editors felt that the implications of this were so far reaching, so fundamentally important, that it must be repeated to test the likelihood that the results were a statistical fluke. And that’s exactly what happened over the next two and a quarter years. During this 821-day period, seven subsequent experiments were performed to examine the effects of group meditation on the Israel-Lebanon war. These groups gathered in Israel, in Lebanon itself in the actual conflicted neighborhoods, and at locations throughout the Middle East, Europe, and other parts of the world. In each case, when the size of the group reached the threshold that was predicted (based on previous research) to have an effect, there was a marked and statistically significant reduction of violence. We have also found in other studies that in the geographic vicinity of such a meditating group, people experienced physiological changes—increased EEG coherence, reduced plasma cortisol, increased blood levels of serotonin, biochemical changes, and neurophysiological changes—as if they were meditating. When you put all these studies together, the likelihood that the reductions of violence were simply coincidental—a statistical fluke—was less than one part in 10 million million million (1019). An overwhelming number of papers documenting more than sixty different experiments of group meditation’s effect on conflict have been published in peer-reviewed scientific journals that have the most stringent standards for research. I believe it is the most rigorously established and thoroughly tested phenomenon in the history of the social sciences. The rest of this compelling article continues below with the subheading STRINGS AND SPACE-TIME. If you don’t see it here, scroll below and click on Read the rest of this entry at the bottom of this post to continue reading. You’ll also come across a subsection added after the article titled, TM and Intention. It was part of a conversation between the editor of Shift magazine and the team at the Maharishi University of Management. In this interview, quantum physicist and former Presidential candidate John Hagelin explains the difference between intention and consciousness, which opens the door on a fascinating discussion of how spending time in deep meditation in the “nuclear” level of thought can multiply the efficacy of intentions. Residing in object-free consciousness connects us to a field of pure, unlimited, creative potential, which in turn ripples out through the quantum field, affecting our lives and even large systems in positive ways. He cites studies he has been involved in showing that a critical mass of meditators has correlated with significantly lowered crime rates. He also predicted similar effects on complex systems from hurricanes to stock markets, with positive results so far. Scientific study of such effects is gaining steam and his ambitious Invincible America Assembly project plans to take this work to the next level, training a critical mass of meditators to positively affect the rates of violence for the entire planet. 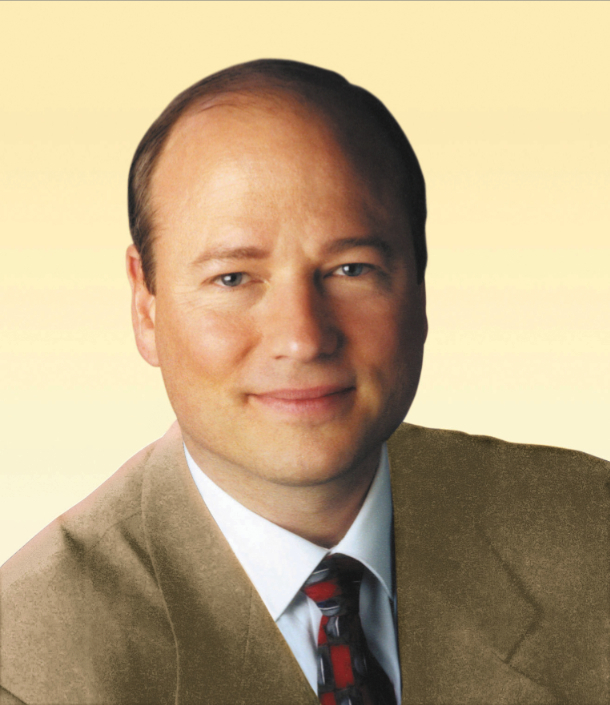 JOHN HAGELIN, PhD, is a quantum physicist, educator, public policy expert, and one of the world’s foremost proponents of peace. He is director of the Institute of Science, Technology, and Public Policy, and international director of the Global Union of Scientists for Peace. For more information, go to http://hagelin.org. Research Links: www.permanentpeace.org and www.invincibility.org. Washington (CNN) — Celebrities and a medical researcher want to convince the Defense Department this week that meditation could help the increasing number of military personnel suffering from post-traumatic stress. Star-studded events in New York and Washington are bringing together people experienced in transcendental meditation with soldiers suffering from post-traumatic stress disorder, or PTSD. Designer Donna Karan hosted a reception in Manhattan on Tuesday evening, and movie director David Lynch (“Blue Velvet,” “Mulholland Drive”) and CNN anchor and correspondent Candy Crowley will headline a Washington event Wednesday to kick off a campaign the sponsors hope will teach 10,000 veterans how to meditate. A Georgetown Medical School clinical professor, Dr. Norman Rosenthal, said he has the facts, figures and testimonials to show that meditation can be a low-cost, low-risk alternative to strong narcotics often prescribed by government doctors. Rosenthal says a simple seven-step process has quick results. “What do we have to lose? It is so cheap, and it is safe,” he told CNN. The military, meanwhile, is facing a number of challenges over the use of powerful drugs prescribed for a variety of stress-related ailments, with increased risk of sometimes deadly, accidental overdoses. The Army’s assistant surgeon general, Brig. Gen. Richard Thomas, told CNN recently that he thinks there has been over-reliance on prescription drugs. “It reflects how we are in society. We do have a tendency to rely on prescription meds,” he said. And the Pentagon, according to Thomas, is receptive to nondrug treatments. Rosenthal said he and his fellow researchers, who published their findings in the journal Military Medicine, found that meditation can help an individual control emotions and thoughts and deal with common PTSD complaints of anxiety, depression, sleeplessness and anger. He compares his latest efforts to win government support to his early uphill battle researching and publicizing his findings after he first diagnosed seasonal affective disorder, or SAD. His research on military PTSD and meditation has a pilot study of five veterans. He brushes aside any suggestions that this is too small a sample. His book says of 1.64 million U.S. military personnel sent to the Iraq and Afghanistan war zones between 2001 and 2008, one in seven met criteria for PTSD. This story was picked up in over 50 major US media outlets as: Meditation Promoted For Troops With PTSD. And other entries on Operation Warrior Wellness here. For those who either didn’t know about or missed the Urban Zen-David Lynch Foundation collaboration to launch Operation Warrior Wellness in New York City, here is the rebroadcast from that night, June 7, 2011, on Lifestream: http://livestre.am/OpBh. This special event was co-hosted by NY fashion designer Donna Karan at her Urban Zen Foundation and Hollywood filmmaker David Lynch. Bob Roth, VP of the David Lynch Foundation, emceed the spectacular evening, which opened with an amazing performance by Miri Ben-Ari “The Hip-Hop Violinist.” Moving presentations were given by Jerry Yellin; Russell Simmons; research psychiatrist and author Norman Rosenthal, MD; Iraq Vet, MUM’s David George and his mother Julia; a Marine reading a letter from his father; Dan Burks and his family; a short visual presentation on the brain under stress and then on meditation by Fred Travis; David Lynch, Donna Karan; and a Q&A between Bob Roth and David Lynch. Together Donna and David partnered to create change from within for veterans and their families who suffer from Post-Traumatic Stress Disorder. On June 7th, Donna Karan and David Lynch celebrated the New York City launch of “Operation Warrior Wellness-NYC.” Learn how Transcendental Meditation aids in healing the mind and body as they proudly present Dr. Norman Rosenthal, author of Transcendence: Healing and Transformation through Transcendental Meditation (Tarcher/Penguin June 2011). Proceeds from the sale of Dr. Rosenthal’s book will be donated to this outreach for veterans. David and Donna also took great pride in presenting “The Resilient Warrior Award for 2010” to Captain Jerry Yellin, decorated World War II fighter pilot, and Master Sergeant Ed Schloeman, distinguished Vietnam Marine veteran, who both serve as national co-chairs of Operation Warrior Wellness. Please share this with your friends and anyone who might feel motivated to want to donate to the David Lynch Foundation’s Operation Warrior Wellness Program. The goal is to raise enough funds to teach the first 10,000 Veterans with PTSD, from any war, and their families, to bring relief from suffering. Alternate URL: http://bit.ly/urbanzen-dlf-oww. Thousands of adults and children live on Southern California streets, and so did Kelsey. She was cast out by her abusive Midwestern family. “I been kicked out of my house since I was nine, on and off. This last time, my father was sexually abusing me,” said Kelsey, who is 17 years old. Living on the streets in Los Angeles was so horrifying and dangerous, Kelsey sought shelter at Children Of The Night, where she was diagnosed with post-traumatic stress and introduced to Transcendental Meditation. “When you take like twenty minutes sit down and do TM, and calm yourself and be peaceful you’re not crabby. The daily things that make your day more frustrating, just kind of go away,” Kelsey said. Hollywood filmmaker David Lynch and his wife Emily were confident traumatized kids could benefit from Transcendental Meditation. “I myself meditated, and I thought this would be a good tool for them. So we brought them the Transcendental Meditation program,” said Emily Lynch, a volunteer and philanthropist. “My first meditation blew me away. It curled my hair,” said David Lynch. The David Lynch Foundation works to demonstrate the benefits of Transcendental Meditation worldwide. Transcendental Meditation is deeper than closed eyes and calmed minds, according to Children Of The Night founder Lois Lee. “Sometimes they’ll burst into tears, and they’ll talk about their dad abusing them, or something that someone did to them on the streets, and they learn through the process of being able to bring it up, put it out, pause, think about it and be done with it,” said Lois Lee, founder of Children of the Night. Also see: LA Daily News: Children of the Night, movie director David Lynch expand work and MSNBC: Meditation Helps Homeless Children. Movie director David Lynch has teamed up with Children of the Night, the teen prostitute rescue organization, to raise awareness on a nationwide scale. That means an expansion of services the nonprofit has been providing for more than three decades, and also the Transcendental Meditation instruction the David Lynch Foundation for Consciousness-Based Education and World Peace has been bringing to the Van Nuys youth shelter for the past 14 months. “Through our experience with the David Lynch Foundation and through our discovery that Children of the Night can operate without walls, we know we can take our award-winning programs to adolescents who are forced to live in out-of-home care throughout America,” founder and president Lois Lee said Friday during a news conference at the organization’s campus. Lynch, who became involved after his wife, Emily, began volunteering at the shelter, explained what the practice of TM – which he’s done daily for 38 years – can do for troubled psyches. The adolescents Children of the Night tries to help bring an assortment of dire baggage to the facility’s doors. Abusive homes, brutal pimps, substance addictions, the very nature of what they’ve had to do to survive. Their reservoirs of self-esteem and emotional control can understandably be all but empty. The peaceful, focusing effect of the practice aids the kids in concentrating on the educational efforts – which includes high school proficiency and GED preparation – at the core of the nonprofit’s life-improving plan. “I’ve done the meditation for a year,” said a 17-year-old resident who asked not to be identified. “It helps me realize the goals that I actually want to achieve. Lee said that meditating herself had a similar effect, enabling her to clarify strategies for her long-frustrated dream of expanding Children of the Night’s programs beyond L.A.
“When we went on the first meditation retreat with David’s people, I turned off my cellphone for the first time since 1984 and I left it off for the entire weekend,” laughed Lee, an intense, micro-managing type by nature. “In the early days of TM, I stopped screaming, my anger disappeared. And about five months later, it came to me how I could put my people on the road, hit every shelter in America and – with phones and the Internet – do everything we do here out there. “I would have never been able to make that leap in my mind without the Transcendental Meditation,” Lee said. Veterans of the Iraq/Afghanistan wars showed a 50 percent reduction in their symptoms of post-traumatic stress disorder (PTSD) after just eight weeks of practicing the stress-reducing Transcendental Meditation technique, according to a pilot study published in the June 2011 issue of Military Medicine (Volume 176, Number 6). The study evaluated five veterans, ages 25- to 40-years-old, who had served in Iraq, Afghanistan or both from 10 months to two years involving moderate or heavy moderate combat. The study found that Transcendental Meditation produced significant reductions in stress and depression, and marked improvements in relationships and overall quality of life. Furthermore, the authors reported that the technique was easy to perform and was well accepted by the veterans. The paper’s senior researcher, Norman Rosenthal, M.D., is clinical professor of psychiatry at Georgetown University Medical School and director of research at Capital Clinical Research Associates in Rockville, Maryland. Dr. Rosenthal was the first to describe seasonal affective disorder (SAD) and pioneered the use of light therapy as a treatment. The findings were similar to those from a randomized controlled study of Vietnam veterans conducted by researchers at the University of Colorado School of Medicine. In that study, published in the Journal of Counseling and Development in 1985, after three months of twice-daily TM practice, the veterans had fewer symptoms than those receiving conventional psychotherapy of the day. In fact, most of the TM-treated subjects required no further treatment. “Even though the combat experiences of OEF/OIF veterans and Vietnam veterans are quite different, the fact that our study corroborates the results of the previous study tells us that this technique has the potential to be an effective tool against PTSD and combat stress, regardless of combat situation,” explained Sarina Grosswald, EdD, co-researcher on the study. Rosenthal hypothesizes that Transcendental Meditation helps people with PTSD because regular practice produces long-term changes in sympathetic nervous system activity, as evidenced by decreased blood pressure, and lower reactivity to stress. “Transcendental Meditation quiets down the nervous system, and slows down the ‘fight-or-flight’ response,” he said. People with PTSD show overactive fight-or-flight responses, making them excellent candidates for Transcendental Meditation. Rosenthal points out that there is an urgent need to find effective and cost-effective treatments for veterans with combat-related PTSD. “The condition is common, affecting an estimated one in seven deployed soldiers and Marines, most of whom do not get adequate treatment. So far, only one treatment—simulation exposure to battleground scenes—has been deemed effective, but it requires specialized software and hardware, trained personnel and is labor intensive. “Based on our study and previous findings, I believe Transcendental Meditation certainly warrants further study for combat-related PTSD,” says Rosenthal. 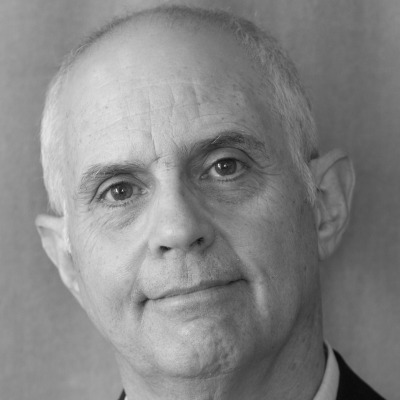 Rosenthal is the author of a new book, “Transcendence: Healing and Transformation through Transcendental Meditation,” which will be released by Tarcher Penguin on June 2, 2011. For those wanting to interview Dr. Rosenthal, contact his publicist, Dean Draznin Communications, Inc., 641-472-2257, dean@drazninpr.com. Results of the new “PTSD and Meditation” study will be announced at special presentations: Tuesday evening, June 7, in New York City, and Wednesday evening, June 8, in Washington, DC. Watch: Reduction of PTSD Symptoms in Veterans with Transcendental Meditation. A new report paints a stark picture of the toll on the U.S. military of almost a decade of war: higher stress and lower morale. The report, released Thursday, May 19, 2011, at the Pentagon, relied on questions to soldiers and Marines in Afghanistan in July and August of last year and compared responses with similar surveys in 2005 and 2009. The report noted “significant decline in reports of individual morale” as well as “acute stress rates significantly higher” than in earlier years. Source: CNN: New Pentagon study finds psychological toll from years of fighting. “Research suggests that 18% to 30% of Vietnam veterans, 10% to 20% of Iraq War veterans, and 5% to 15% of Gulf War veterans have experienced PTSD,” says U.S. Army Colonel Charles C Engel, Director of Deployment Health Clinical Center. Source: Britannica Blog: PTSD in War Veterans: 5 Questions for Psychiatrist and U.S. Army Col. Charles C. Engel. A May 8, 2008 report said the number of suicides among veterans of wars in Iraq and Afghanistan may exceed the combat death toll because of inadequate mental health care, the U.S. government’s top psychiatric researcher said. Source: Bloomberg: Post-War Suicides May Exceed Combat Deaths, U.S. Says (Update1). VA’s suicide hotline receives 10,000 calls per month from active and retired servicemen. There are 950 suicide attempts per month by veterans receiving care from the VA. 18 veterans commit suicide each day, 5 of them are under the care of the VA. Source: Army Times: 18 veterans commit suicide each day. Every night, an estimated 63,000 veterans lay down to sleep in a county jail. Source: Syracuse.com: The Post-Standard: Syracuse VA Medical Center visits county jails, searches for military veterans who need assistance. Each night, 107,000 veterans find their home on the street. Source: National Coalition for Homeless Veterans. 27% of returning OEF/OIF veterans meet criteria for alcohol abuse. Of returning soldiers, 20% of active duty and 42% of reservists are in need of mental health treatment. Source: NIDA: A Research Update from the National Institute on Drug Abuse. The Rand Corporation’s study “Invisible Wounds of War” revealed a disturbing truth about the health of our military as recently as 2008: Over 300,000 returning veterans from Iraq and Afghanistan suffer from PTSD or major depression. According to the Rand report, these “invisible wounds” take a high toll—impacting veterans’ quality of life, hindering their performance at work, straining their families, and placing them at greater risk for violent and self-destructive behaviors. The economic cost of these disorders is equally great—reaching as high as $6 billion over 2 years. Yet, despite the heavy toll of PTSD and depression, only half of affected veterans seek care, and only a third of those who do, receive adequate treatment. Thus, over 80% of affected veterans remain without needed help. Since October 31, 2007, over 1.6 million troops have been deployed in Iraq and Afghanistan. According to the Rand Corporation’s study, 225,000 of the returning troops suffer from PTSD, 226,000 are diagnosed with major depression, and 303,000 develop either illness. Source: Rand Corporation: Invisible Wounds of War: Psychological and Cognitive Injuries, Their Consequences, and Services to Assist Recovery, 2008. More information can be obtained by calling 888-LEARN-TM or visiting, www.tm.org, www.AskTheDoctors.com, or David Lynch Foundation, which offers courses for the Military through it’s Operation Warrior Wellness program. Source: EurekAlert! Veterans show a 50 percent reduction in PTSD symptoms after 8 weeks of Transcendental Meditation. The Huffington Post: Top Research Psychiatrist Promotes Meditation for Healing and Transformation. Fox News.com: Could Transcendental Meditation Help Veterans Suffering From Post-Traumatic Stress Disorder? The Epoch Times by Ginger Chan: Post-Traumatic Stress Disorder Reduced by Meditation. Click here for more articles and news videos on TM and PTSD posted on The Uncarved Blog.